JAGNA – The 7.2 magnitude earthquake that hit the province of Bohol in October 2013 totally damaged major structures in several of the towns rendering people homeless. Efforts for reconstruction commenced immediately but were halted by the disastrous effect of ST Yolanda. Jagna is one of the towns slightly affected by the earthquake. The national government allocated funds for the quick rehabilitation of damaged government infrastructure in the towns of Bohol by setting up of the Bohol Earthquake Assistance (BEA) fund. The BEA fund was readily available and local government units were directed to submit a list of projects to be funded by the BEA for approval. 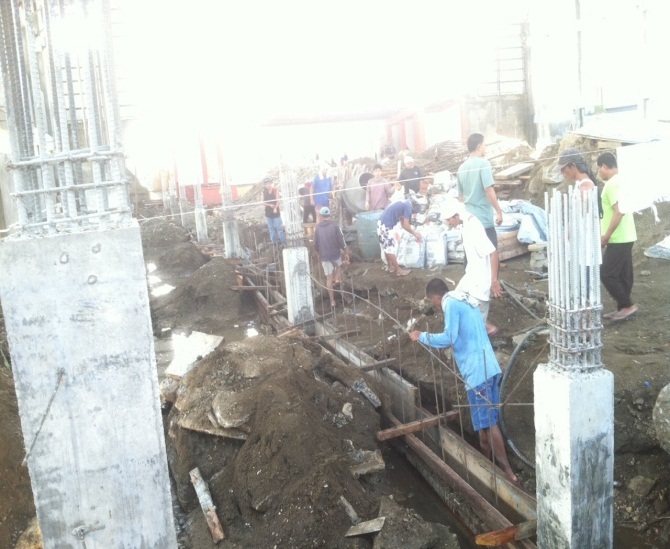 Right now in the municipality, projects under the Bohol Earthquake Assistance (BEA) fund are in full swing of implementation. The approved projects for BEA are the following: rehabilitation of legislative and municipal building; rehabilitation of the public market; rehabilitation of Jagna Gymnasium; rehabilitation of Jagna Waterworks System; rehabilitation of Malbog, Naatang, Pagina, Cabungaan, Bunga Mar, Faraon, Tubod Monte, Lonoy, Cantagay, Calabacita, Nausok and Ipil health stations. The projects are under contract with different contractors but are being monitored by a project management team created thru an executive order signed by Honorable Fortunato R. Abrenilla to ensure proper and on time implementation. 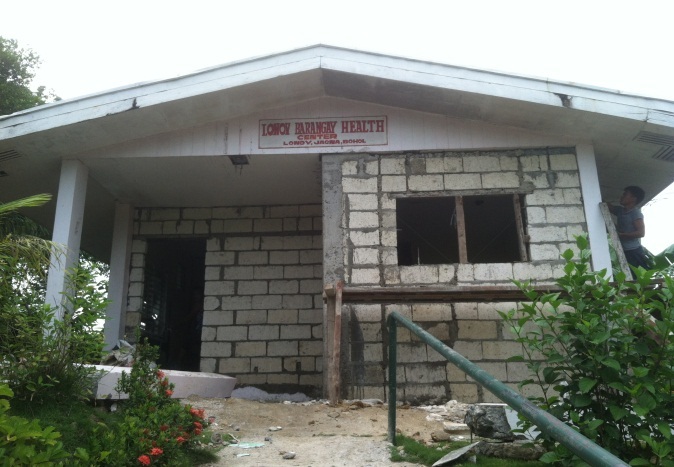 Rehabilitation of Lonoy Health Center.